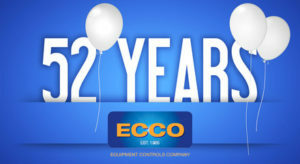 Today we celebrate ECCO’s 52nd ECCOversary. Using a quote from UFC Hall of Famer Royce Gracie really speaks to our place – WE’RE NOT PART OF HISTORY – WE ARE THE HISTORY. For 52 years the amazing people of ECCO have been innovation leaders in our markets. Through your efforts and those that came before you, ECCO has continually worked to create a business that values its customers, team members, suppliers and communities. Thank you doesn’t go far enough in expressing the appreciation Dad and I for you and your efforts. Truly without you there would be no ECCO!